Over three million car accidents occur each year. Fortunately, most of them only involve damage to the vehicle. However, one in four car accidents involves personal injury to either the driver or the passenger or both. One in every five accident leads to fatal injuries. If you are involved in a crash and you have suffered damage, the first thing you need to do is to call the police. You should then seek medical attention as soon as you are able. Do not ignore the minor injuries since you may have suffered internal injuries. Additionally, you should exchange contact and insurance information with the other driver. 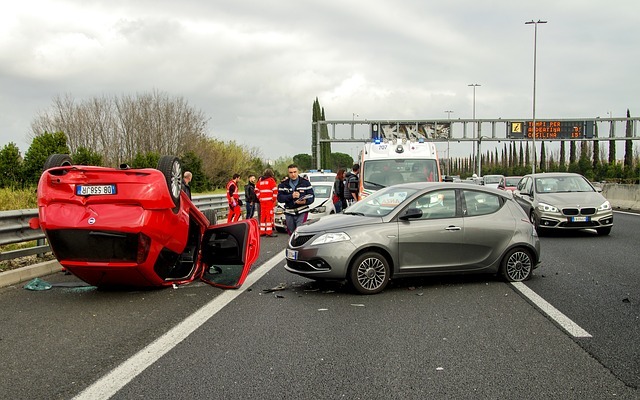 This article explores four things you can do if you were injured in a car accident. Promptly inform your insurance company and cooperate with them in everything. Tell them the truth about what happened and the extent of your injuries. Find out if your insurance policy covers your medical bills. If you pay for med-pay coverage, you should submit your hospital bill to your insurance company. If you exhaust med-pay benefits, private health insurance becomes your primary cover. The med-pay policy covers all the occupants in the vehicle. Your insurance company should not increase the rates as a result of submitting claims for med-pay coverage. When the police arrive, you should tell them exactly what happened. If you are not sure of what happened, say that to the officer. Avoid speculating, guessing, or misstating any facts. If you are not sure whether you are injured, let them know. Make sure that the statement made by others is accurate since these reports will determine whether your insurance will cover the damage. In most cases, car accident injuries will not appear immediately. Most people report beginning feeling pain a day or two after the accident. Even if you do not feel pain, you should seek medical attention at the nearest health facility. Even in a crash with a minor impact, you can sustain serious injuries. If you dazed off or lost consciousness for some time, you may have suffered a closed head injury. If left untreated, injuries can lead to cognitive and behavioral changes. The most recommended thing to do after an injury is to consult your attorney. Your injury attorney will protect your rights and make sure that evidence is destroyed. Your insurance company will want to take a statement, but you should seek legal advice before recording the report. Your attorney will advise you on several issues including how to make sure you are compensated. Personal injury lawyers work on a contingency fee basis. You will not pay the attorney unless you are adequately compensated. In the case of a car accident, avoid posting the events on social media. If the case goes to court, the judge may demand that you turn over all your account passwords. Posting on social media will only complicate your situation.